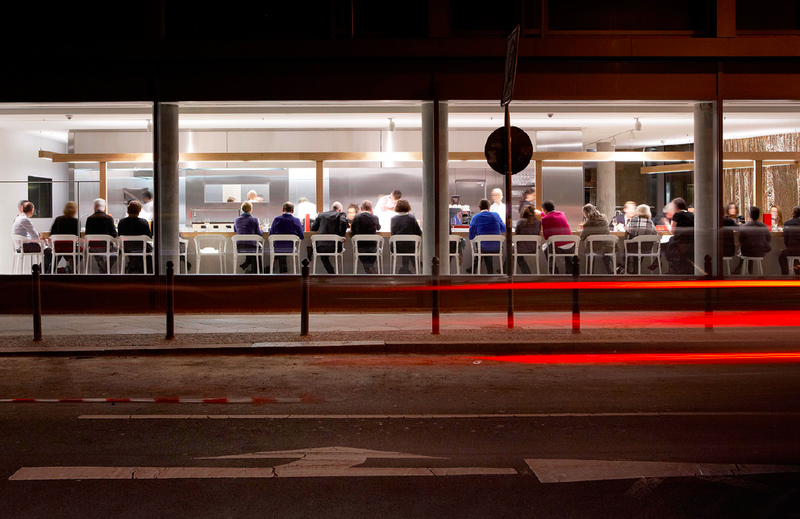 Dos Palillos, the restaurant of the Casa Camper Hotel. Interior for Dos Palillos, the new restaurant of the Casa Camper Hotel in Berlin door Ronan and Erwan Bouroullec. Story about the project told by the Bouroullec brothers. 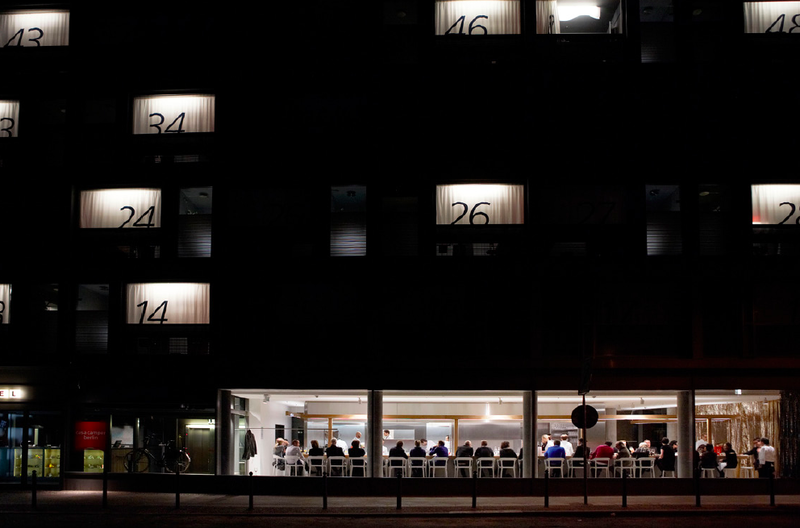 “Camper invited us to design Dos Palillos, the restaurant of the Casa Camper Hotel in Berlin Mitte that will open in January 2010. What immediately interested us was that Dos Palillos was a one of a kind culinary experience offered by Albert Raurich, elBulli’s former chef. In order to celebrate his cuisine, the concept of the restaurant gives full means of expression to his culinary art. 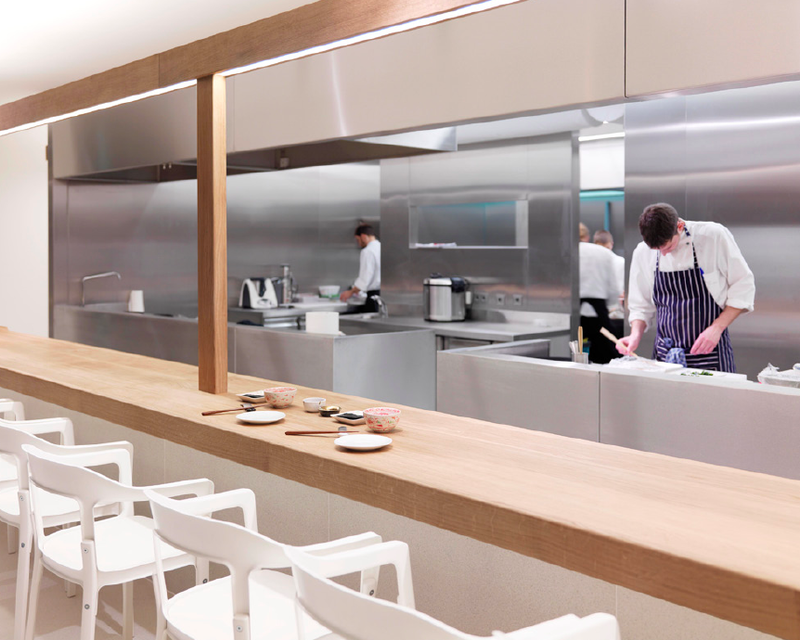 Naturally, the kitchen had to be the centre of the space and thus, it had to be wide open so that guests could see the preparation of the dishes from the beginning to the end. We have decided to articulate the environment around one long wooden table and the stainless steel kitchen, one module facing the other. 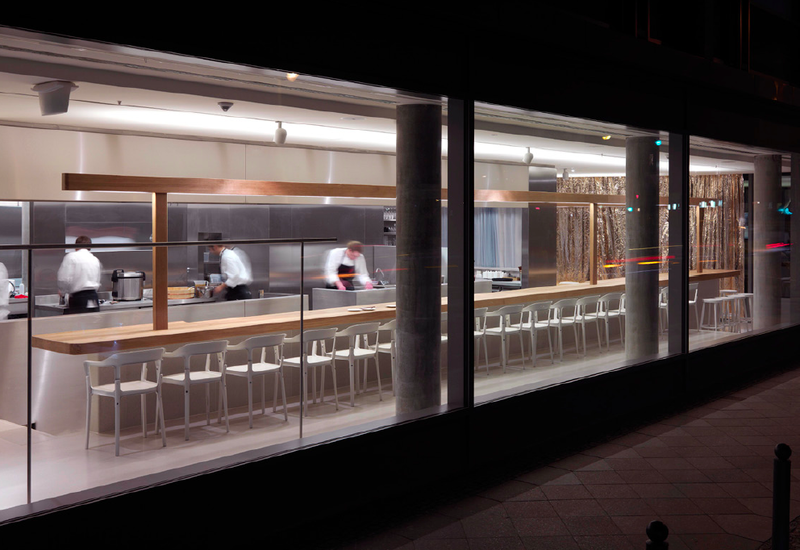 Consequently, the guests find themselves at the centre of the kitchen, while the chef acts in front of them. It was important for us as well to set a dialogue between the 10 cooks and their nearly 30 guests, invited in the chef’s kitchen. In order to emphasize such an interaction and encourage eye contact, we worked on different ground levels so that the guests are able to have a global experience once seated at the table, as if they were attending an artistic performance. Throughout the project, our intention was to reduce our level of intervention to the utmost to let the scenery express itself. Indeed, the space is voluntarily raw with very few elements and materials to sustain the idea that the legitimate sense of the space comes from the relation between the guests and the cuisine.